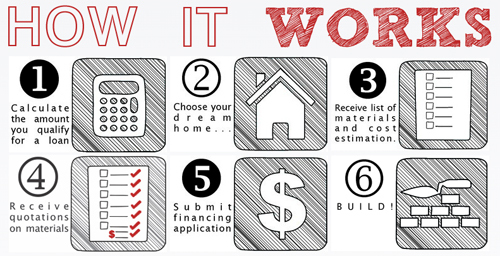 What Home Loan amount do I qualify for? 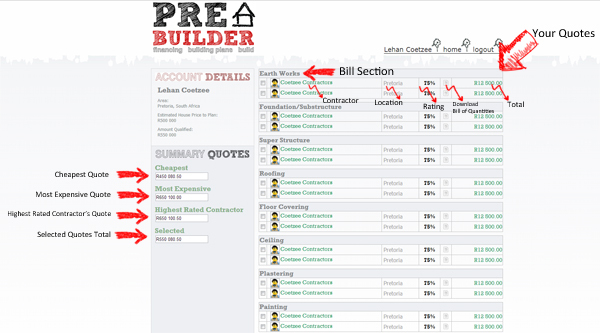 Founded in 2013, PreBuilder seeks to establish a new standard in residential property development, alowing users to apply for home loans, browse and buy building plans online and get access to industry professionals easily and at affordable rates, in fact PreBuilder is free to use! 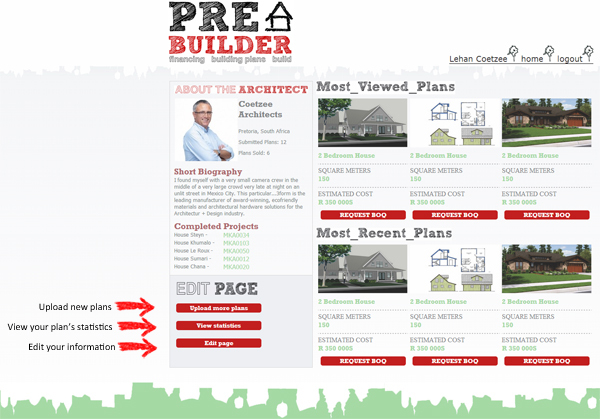 Architects, submit your blue prints online and see your profits soar while you kick back, by taking advantage of crowd sourcing technology. 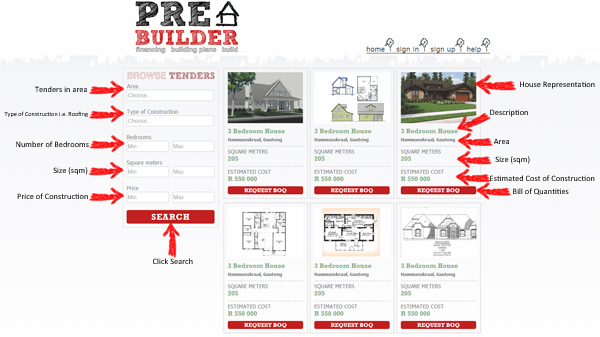 Contractors, list your business on PreBuilder and get access to the our Tenders Portal, where you can browse and submit tenders at the speed of light. 4. 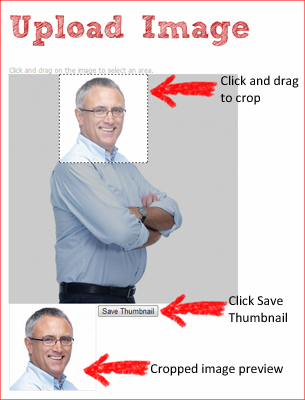 Activate Click on the link in the email or copy and past the link into your browser address bar. 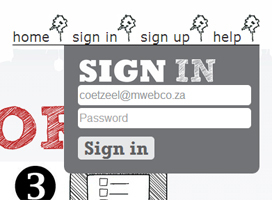 You will be taken to an activation page that will confirm your activation, if activation is successful you will be redirected to the login page. If you did not receive an email please check your junk email folder, strict security settings can cause the email to be sent to the junk email folder. 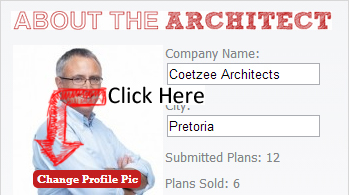 If the email is still missing please contact us @ admin@prebuilder.co.za so that we may rectify the issue. Home Loans - What loan amount could I apply for? Work out the maximum loan amount you qualify for based on your monthly income by clicking here. 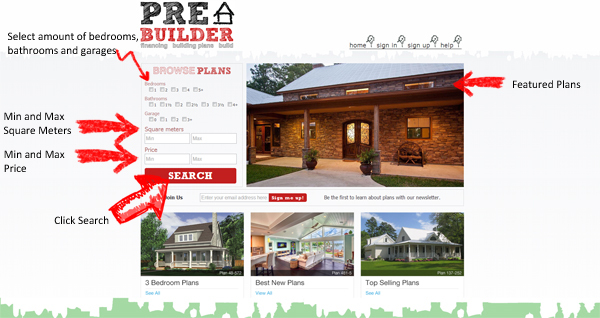 Use the Browse Plans page to find your perfect home. 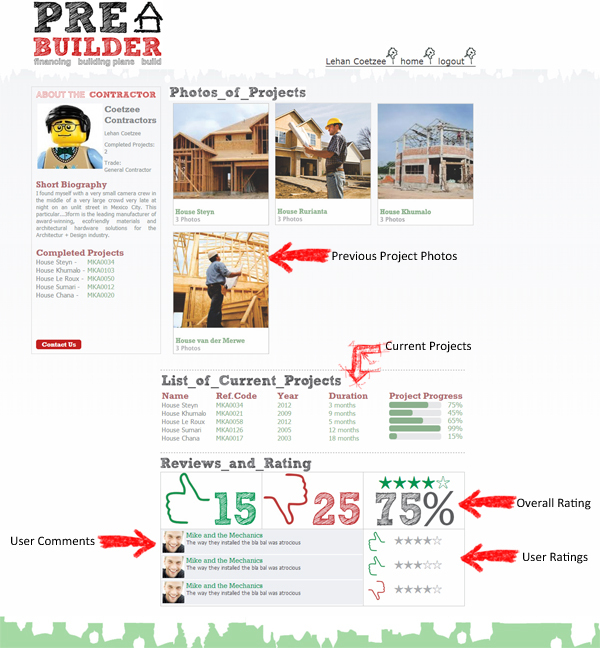 Manage all your quotes from you profile page. 1. 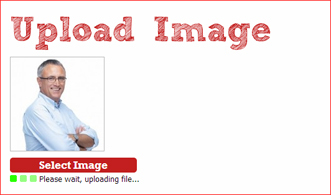 On your profile page click on "Change Profile Pic"
2. 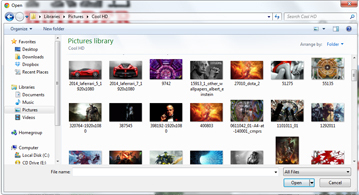 In the new dialogue that opened click "Select Image"
3. 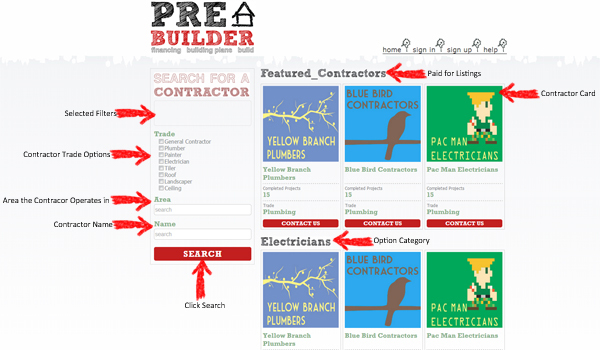 Select an image from your computer to upload and click "Open"
Browse for Contractors by Trade and Area or search for a specific Contractor.